What happens when you need a new dentist? Perhaps you've recently moved or your longtime family dentist has retired. Whatever the reason, when it comes time to choose a new dentist, you may be overwhelmed with information and unsure where to begin. Our team at DentalWorks in Clearwater, IN understands your concerns and wants you to know that you are not alone. Whether you have dental fears and need sedation dentistry or pediatric dentistry to care for your children, it’s important to find the best dentist for your needs. We have put together a list of helpful tips to help you narrow your search for a new dentist. Read through our list below to help you choose a dentist that will be a great fit. All of today's technology means that lots of information is just a click away. Begin your hunt for a new dentist with a quick internet search by entering “board-certified dentists in Clearwater, IN.” Do you need a general dentist or maybe you need a pediatric dentist to care for your children? If you’re interested in improving the appearance of your smile, you should be looking for a cosmetic dentist. If you don't want to start with a treatment or procedure, schedule a meet-and-greet appointment. 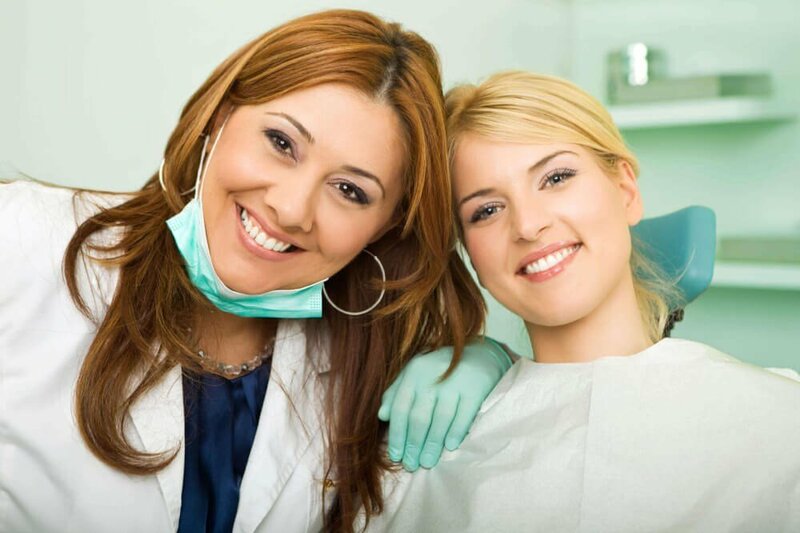 Most dentists are happy to meet with prospective patients to help them feel more comfortable before they schedule their first dental appointment. You can also contact a practice to get more information on their procedures and treatments. You’ll find the physical address and hours of operation online for most dental practices. You should consider whether their location and schedule will work with your life. Do you want a dentist that’s right in your neighborhood or would you be willing to travel a little further for the right dentist? Will you be going to the dentist from your home, office, or school? Do they offer late hours or emergency care? You should be able to contact your dentist at any time (usually through an answering service or after-hours phone line) in cases of emergency dental situations. This will be important if you or a family member ever suffer a facial trauma that affects your teeth, gums, or jaw. Your family and friends are a wonderful resource that you know you can trust. Ask them who they see for their dental care and how much they like them. Online reviews can also be helpful, but it’s important to remember that anonymous sources may not be trustworthy. A bad review based on one person's experience doesn't mean you won’t like that dentist. Likewise, a lot of great reviews don’t necessarily mean that you will also love that dentist. Consider other factors when reading reviews like the cleanliness of the practice, the ease of scheduling an appointment, the personality of the dentist and staff, and modern equipment. Check out their website to learn more about the practice itself. What procedures and treatments are offered? What equipment and technology do they use to make your dental care more effective? Once you have chosen a few potential dentists, the next step is to compare their education and training. A biography should be easily accessible on their website. Take a look at the dental school they attended. Your dentist should be certified by a professional dental association. Obtaining this certification means that they have a demonstrated commitment to providing the best possible patient care and will remain dedicated to continuing education. To maintain this level, a dentist must complete many hours of additional training every year. Board-certified dentists pride themselves on providing high-quality dental care and establishing trust with their patients. While we don’t recommend choosing a dentist just because of their prices, cost is still an important factor. During your consultation, ask about the cost of an annual exam and dental cleaning. You can easily search the average cost of dental procedures in your area online. It’s usually not a good idea to choose the cheapest option when it comes to your dental care since this could mean lower quality materials or out-of-date equipment and techniques. However, costs should not be unreasonably high either. Pick a dentist whose costs closely compare to the average in your area. If you have dental insurance, check with your provider to see which dentists are in their network. Also, check to see what coverage you get with an out-of-network dentist. Ask the practice how they handle insurance claims as well as billing for your remaining costs. If you don’t have dental insurance, does the practice offer a discount? Do they offer flexible payment plans or help finding low-interest medical financing. Trying to find a dentist in Clearwater, IN who will keep your mouth healthy while prioritizing your comfort may seem impossible, but it doesn't have to be. Begin your search with a few keyword phrases in your favorite site, ask your friends and family who they trust with their oral health, then do a little research on a few practices. Schedule a few meet-and-greets and make as many calls as you need to. Before you know it, you will be relaxing in the treatment chair of a trustworthy dental professional who will treat you with the utmost care and professionalism. Happy hunting and be sure to check out the DentalWorks blog for more ideas on ways keep your smile healthy.